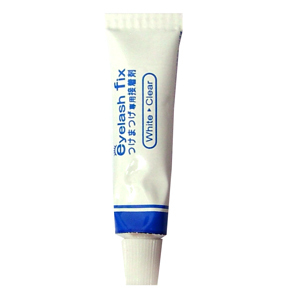 White false eyelashes glue. Easy application and rapidly dries to opaque. Dries on opaque so you want to use this with light color eye makeup. Made in Korea.